Les Durs à Cuire – the name itself for the non-French is, if I understand correctly a play on words. It’s an old expression originating with the sailors and soldiers from the Nineteenth Century and is a culinary metaphor. The meaning is to speak of a person who is difficult, or tough to accommodate. The stylish interior décor creates a great atmosphere in the restaurant, it is a large spacious restaurant with fabulous lighting and different style of seating. Some of the seating is in booths and some more open with both high and standard height tables. I would say it has a modern and understated Savoyard style. 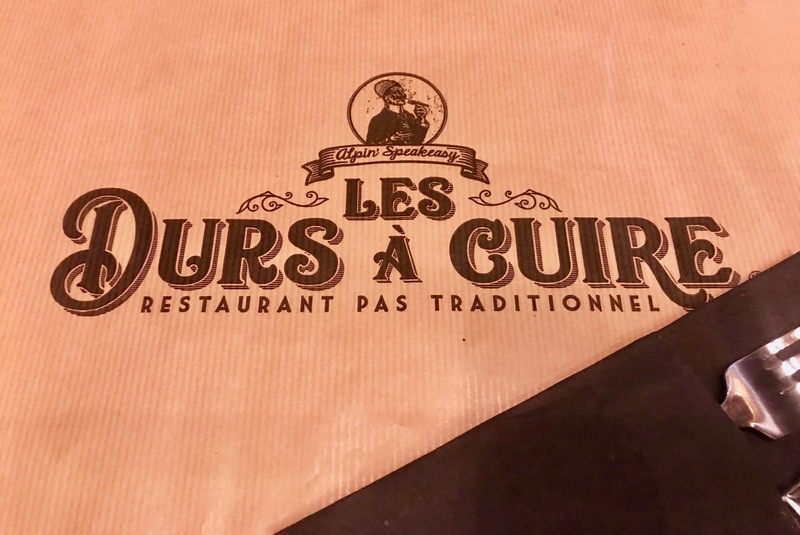 Les Durs à Cuire describes itself as an Alpin’ speak easy! The menu has been created in the style of an old newspaper with interesting curiosities and comical additions. 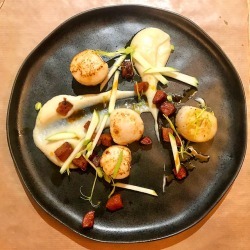 Featuring around seven starters and 14 main courses, the main courses include fondue and tartiflette and burgers but there are some more gourmet style dishes including an interesting lamb dish, lamb served two ways and a great duck dish. There are a couple of daily specials and a dessert of the day and around another seven dessert choices. I’ve eaten dinner here twice so far and both times loved everything I’ve eaten! I found the service really good and friendly. 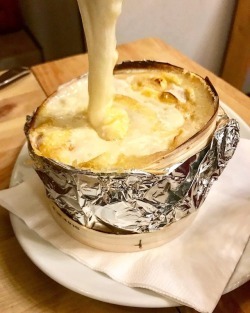 Les Durs a Cuire is in the centre of Les Gets and open in the evenings only from 6.30pm and is closed on Mondays.